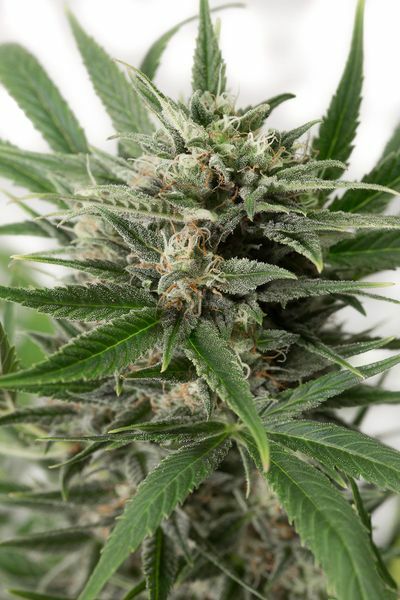 Blue Amnesia XXL Auto cannabis seeds by Dinafem Seeds belong to a feminized autoflowering strain that results from the cross between an Original Amnesia Autoflowering and a Auto Blueberry. It is an excellent marijuana strain with which to obtain quality crops without complications and in a short time. Thanks to its champion pedigree, this auto cannabis seed shows great balance at all levels. It is an elegant, fast-flowering, easy-to-grow, medium-sized, vigorous marijuana plant that develops small internodes and elongated compact buds covered in resin. This 3rd generation automatic strain shows good stability between individuals.